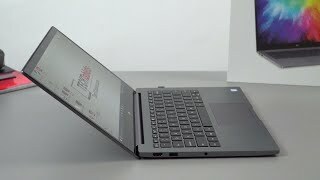 Xiaomi Mi Notebook Air i5 8GB RAM 256GB SSD 13"
Xiaomi is quite popular when it comes to budget smartphones with great specs. However, the Chinese smartphone maker has recently launched its first laptop which is definitely designed to give the MacBook Air a run for its money. 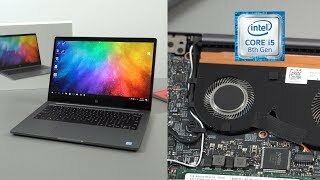 While these two laptops share a lot when it comes to design, there are lot of differences to look out for as well. 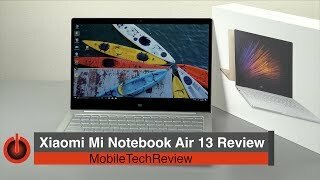 To find out about more about these differences and whether it’s worth checking out or not including the Xiaomi Mi Notebook Air Dubai price, keep reading. 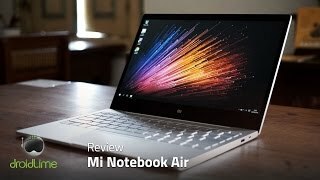 For those who are into heavy gaming, the Xiaomi Mi Notebook Air might not be for you. Only the 13.3-inch version packs the NVidia GeForce 940MX GPU with 1GB of DDR5 GPU. The 12.5-inch comes with Intel HD 515 integrated graphics. Users get Intel Core m3 and 4GB of RAM in the smaller version and Intel Core i5 and 8GB of RAM in the 13.3-inch version. There are differences in the storage as well. The smaller version comes with 128GB SATA while the bigger version packs 256GB SSD. There is no traditional Ethernet port but users do get two USB 3.0 and a USB Type-C port. There is a HDMI port as well. There is the Asus ROG GL552VW and Lenovo Y5070 if you are looking for gaming laptops. 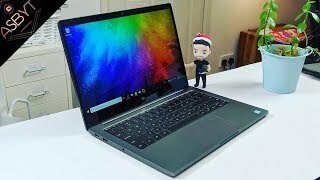 These are not in the same pricing range as the Xiaomi Mi Notebook Air Dubai price but these are some of the best cheapest gaming laptop you can check out. 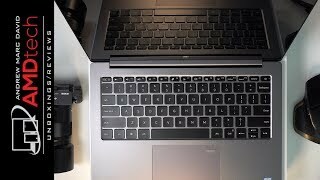 Battery life is one of the most important feature to look forward to if you are looking at this laptop for portability. According to Xiaomi, it will last up to 9.5 hours and a surprising 11.5 hours if you take the 13.3-inch version. The smaller 12.5-inch version is not much powerful but you can depend on it for battery life. There is also the Asus ZenBook UX303UB you can try which is Asus’ version of MacBook Air. The starting price of the Xiaomi Mi Notebook Air is around AED 3000 . It’s already available in some places so you don’t have to wait for the Xiaomi Mi Notebook Air release date UAE. The low rise trunks for men - black, pack of 3 Men Underwear & Sock is manufactured by Calvin Klein and was added around July 2018. This version of the Men Underwear & Sock comes in Color : Black , Size Category : Small. The best price for the Calvin Klein Low Rise Trunks in Dubai, UAE is AED 76 sold at Souq with shipping fees of AED Free Shipping for orders above 100 AED, 10 AED otherwise and delivery within Delivery in 1-3 days. By comparing prices and buying from the cheapest store you can save up to 15% or AED 13. Price has increased 12% from AED 2499 on 2016-12-29 to AED 2799 today.